Cryptocurrencies and Blockchain Technology came along with some techy terms, which hard fork is one. When it comes to hard forks, it relates to a split from an existing blockchain protocol or a change which renders the previous blocks/transactions invalid. This sometimes would require a node or user upgrade to support the new version. 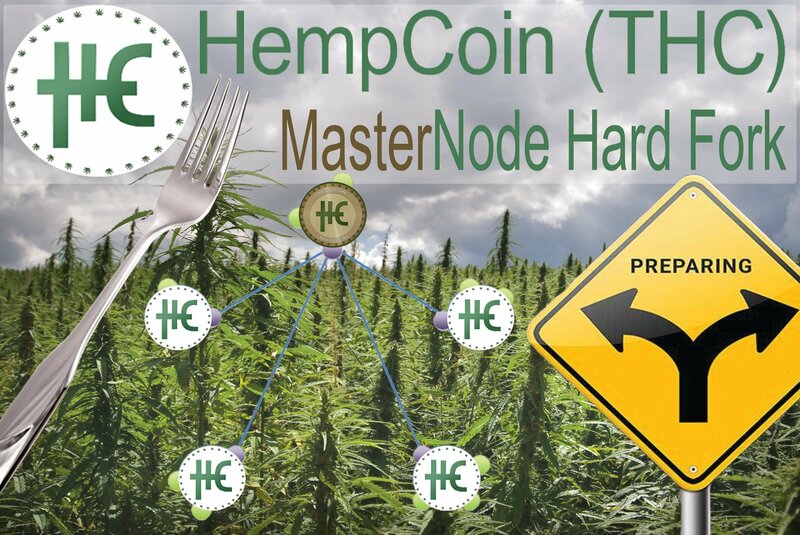 HempCoin is a cryptocurrency which connects cannabis farmers and local sellers. The symbol, THC represent the cryptocurrency. Though there hasn’t been any specific date set as at the time of writing, the project will undergo a technology change. The new version of the tokens will be anonymous and also have the team implement a master node feature. The project which has been in existence since 2014 has had its project team working on making the platform top-notch. There is an official wallet for the HempCoin for Windows PC users available for download on the official site. The coin is also being traded for BTC on the Bittrex cryptocurrency exchange platform. Because the marijuana industry is fast growing, HempCoin being a niche specific coin aims to facilitate trades in the industry using advanced technology and user-friendly apps. BitShares is having its Core Release in June. As announced by the core team, there will be a new feature release within three weeks period, and hard forks are scheduled to be twice yearly, first Thursday of June and December. The BitShares platform is an open source decentralized exchange platform which runs on the blockchain. The aim of establishing this project is to eliminate risks involved with centralized exchanges. This way, there are fewer hack situations, and the possibility of people losing their funds to third-party exchanges is non-existent. The platform is either accessed via the browser or downloaded to a user device. BitShares (BTS) can be traded on a couple of exchanges which includes BitShares Asset Exchange, CoinEgg, Binance, Poloniex, Huobi, Livecoin, Indodax among others. BTS on these platforms can be easily exchanged for BTC, ETH, BNB, STEEM, and other cryptocurrencies. Scheduled date: On or before the 21st of June. The DigiByte foundation has scheduled a hard fork in the Summer of 2018. The upcoming hard fork will bring changes to mining algorithms on the network to maintain GPU friendliness. The project which went live sometime in 2014 was born out of the need to solve what was perceived as a significant challenge in Bitcoin which is the centralization of mining power due to specialized mining devices, ASIC among other things. DigiByte is similar to Ethereum in the sense that it’s not just a cryptocurrency which is said to support international trades in the next feature, but it’s also a platform which decentralized apps are developed and run using smart contracts. DigiByte (DGB) can be traded for BTC, ETH, LTC, and EUR on some exchanges like the Bittrex, Poloniex, Kucoin, HitBTC, Upbit, Livecoin, Cryptopia and so on. Users can easily download the DigiByte cryptocurrency wallet from the official site for any platform or device available. 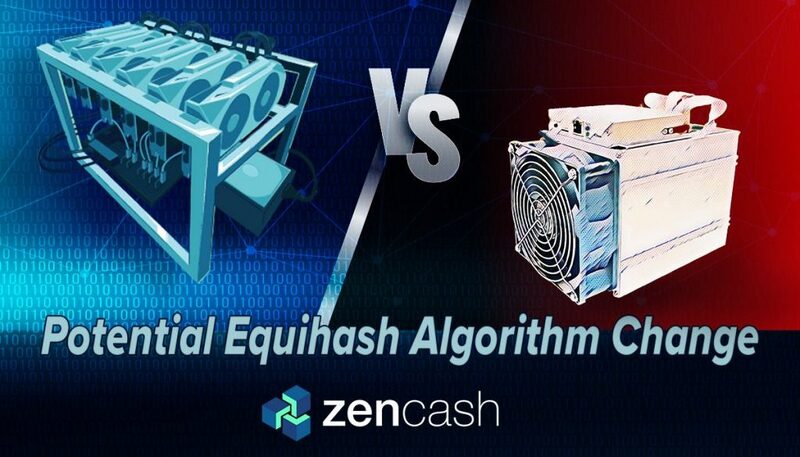 In a bid to fight the new equihash ASIC miner scheduled to ship at the end of June, the team is moving in fast, proposing a hard fork; a change on the network that will render ASIC miners useless on the network. The new upgrade will only support GPU miners, which was the projects’ original plan. The ZenCash is said to be the first TLS end-to-end encrypted and anonymous virtual currency, messaging and content platform and also a decentralized autonomous organization. It was launched in 2017; it was a fork of ZClassic which is a fork of ZCash. Your ZenCash tokens can be stored on PCs, in a web wallet, on Android Devices and also on Paper wallets. ZenCash tokens can be purchased on Binance, Bittrex, Upbit, OKEx, Cryptopia, COSS Trade Satoshi, and OpenLedger DEX. Scheduled date: On or before the 30th of June. Metaverse to roll the first iteration of its hard fork soon. As explained by the team, this hard fork is expected to reduce the actions of bad actors within the ecosystem. The open-source public ledger aims to provide digital assets and digital identities to its users. Using Blockchain-as-a-Service (BaaS), the team makes it convenient to access digital financial services at no cost. Though the project was launched in 2016, it didn’t go live till sometime in February of 2017. Metaverse ETP (ETP) though are stored on 3rd party wallets like BitGo and Cloud wallet, the team has also developed the token’s official wallet for mobile and desktop devices. ETP tokens can be traded on TOPBTC, Bit-Z, Bitfinex, QBTC, HitBTC, RightBTC, TDAX, and CoinBene cryptocurrency exchanges. As indicated on the project’s roadmap, there will be a complete MainNet swap, and POW support and optimization would be integrated. Bytom is a blockchain platform for financial and digital asset applications. The Bytom aims to deliver a platform that allows exchange and diversification of digital assets. BTM tokens are stored on the Bytom official wallet which is available on Windows, Mac, and Linux, operating systems. The team has done an incredible job in listing the BTM token on some exchanges which include, Bibox, OEX, RightBTC, Huobi, OKEx, EXX, Gate.io, CoinTiger among many others. When all goes as planned, Bytom will present a new generation of a tokenized world with virtual assets representing almost everything. Though the project is still in its alpha stages, it looks promising based on what has been implemented so far. These forks are geared towards making each platform better for everyone on their respective network. It is also possible that these forks are moved to later dates, that’s left to the team to decide. To follow activities by each community, you need to join private forums to get updated as events roll. You can purchase ZEN from Binance exchange, one of the best cryptocurrency exchange available in 2018.